Fauna Shaman is in an interesting place. It is a powerful effect but it is just too slow to be playable in several decks. Some Modern Kiki-Pod decks experiment with it. I am sure Combo Elves variants in Modern and Legacy are constantly brewing with it. That is not to say that it does not have its home. Commander and Cube players often make good use of the Shaman. This card will continue to grow slowly and steadily for a long time to come until someone does finally break the card and everyone starts scrambling for a play set. Michiko is an interesting white commander. She just looks at you with her warning smile daring anyone to come attack you. She is the right color for all kinds of life gain to offset any life lost. She is from a third set that was released a decade ago. There is little supply with a unique and powerful effect. I would trade for her and let the value continue to grow. She is so tied into the flavor of a plane we are certain not to revisit that I would be surprised if she ever saw a reprint. Porphyry Nodes is potential repeatable removal. It makes a very potent sideboard card. It keeps aggressive decks in check and can get around hexproof, shroud and protection. It is sometimes seen in WUR (Jeskai) Control and Delver decks. I would trade for these at $4 and hold onto them. The last time they got attention on camera during a major tournament prices spiked to $8. Rabble Red and Boss Sligh have given the Loyalist a big last hurrah before rotation. The deck does well on MTGO dailies but so far has not seen any success in person beyond Top 16s. Everyone wants to put this deck together and try it out at FNM. I think the hype will settle and people will soon be looking to get out while there is still some value to be had. I would trade these now and not look back. Pithing Needle is a singleton is roughly half of legacy sideboards. It is also used in some modern and standard sideboards. It has been printed four times. Saviors of Kamigawa was a third set in a block. Tenth Edition and M10 were core sets. The most recent printing was in Return to Ravnica which was one of the most opened large sets ever. It was an incredible draft environment with many modern and legacy staples. There are a lot of copies out there now. Standard players will no longer need it and will be looking to unload it on a market that already picked up the copies they needed a long time ago. The price is going back to around $2 in a month. Move these if you can. Ad Nauseam is a powerful way to draw your deck and finish off your opponent on their end step. It is used in Modern Ad Nauseam and Legacy ANT and TES. The SCG Legacy open on 8/10/2014 in Syracuse has an Ad Nauseam deck place in the Top 16. It is a fringe deck but can pop up unexpectedly depending on the metagame. I like trading for these at $3 since the price is low and it sees play in eternal formats. Other pieces of the deck can be pretty cheap as well. You can buy Phyrexian Unlife for as low as $0.26 and sell them for up to $0.51. Theros block recently introduced several powerful enchantments including gods. This always gets casual players pulling out their copies of Enduring Ideal and Sigil of the Empty Throne. People are brewing with the Ideal of Modern success but nothing has gained any traction. The deck needs powerful finishers. Assemble the Legions and Form of the Dragon are not quick enough. I would trade them if someone if looking for them. Ensoul Artifact has a lot of players looking at Affinity. When affinity gets attention then anti artifact cards get added to sideboards. Kataki fits in several Modern deck archetypes including BW tokens, Melira Pod, Kiki-Pod, Soul Sisters, GW Hatesbears and more. It even gets played in some vintage sideboards. The problem is that it has been reprinted so much recently. It was in Modern Masters and the Modern Event Deck. I doubt it will be able to keep up the price. You can purchase them for as little as $1.48 and sell them for as much as $2.60. The Modern Masters copy also has an opportunity for profit. You can buy them for as little as $0.79 and sell them for as much as $1.26. 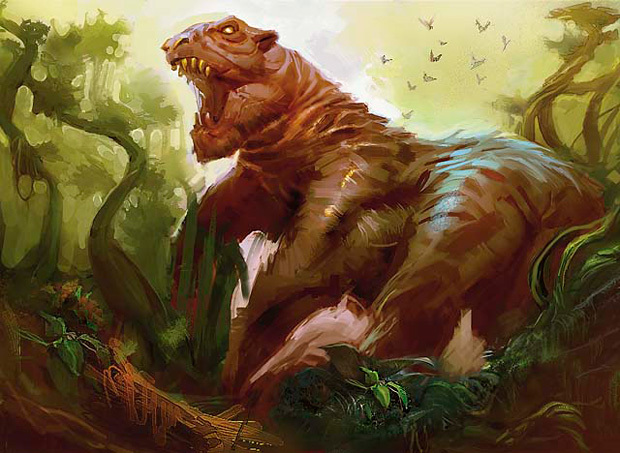 Terra Stomper is standard legal for the next year thanks to M15 Planeswalker decks and the Deckbuiler’s Toolikit. The biggest problem it has it that the deck that Monogreen Devotion has so many other powerful options. Arbor Colossus, Hornet Queen, Genesis Hydra and Polukranos are all fighting for the same spot in the deck. Mistcutter Hydra wants the sideboard space against control. This leaves Terra Stomper without a home. I would trade these away aggressively. Squelch looks at a modern metagame filled with fetchlands, pod activations and planeswalker abilities and rubs its hands together. It has only been printed once. So far only Modern Mono-Blue Tron runs it. I would try to stock up on $1 copies and wait for it to get noticed. I love Norin the Wary. He has provided some great flavor text over the years. Every once in a while someone toys with a crazy rogue deck featuring him. The most recent flavor was a Boros Soul Sisters that used Purphoros, God of the Forge to deal lots of damage while Norin played peekaboo. The bump he got in price is coming down as it should. I would trade for Purphoros though. His buylist and vendor price are both $4.00. He is a powerful commander and he just needs creatures to become good. I think he has a lot of potential. Can Mono-Black Devotion survive the rotation of Pack Rat and Desecration Demon? If the answer is yes then Master of the Feast is a prime candidate for replacing the demon. An upcoming wedge set suggests time to set up mana bases. I think that rotation would be a great opportunity for an aggressive monoblack deck to take charge. Lifebane Zombie sees play in a variety of standard decks but is having trouble breaking into modern Jund and Golgari Midrange decks. It will continue to decrease in price over the coming weeks. I would get out now. After rotation these should become bulk rares which you can pick up if you think it is good enough for a modern sideboard. Urborg is taking a beating for being reprinted in M15. Let us not forget that it is used in Legacy and Modern decks of all varieties. It is going to be an automatic inclusion in every black deck in standard for the next year. The price will not be done dropping until Khans of Tarkir is released. You can currently purchase them for as low as $10.99 and sell them for as much as $14.40. f you have been slow to unload then this is your chance. Rebuff the Wicked is an interesting inclusion in white commander decks. It is a counterspell for one white mana. It is not a card that people are thinking of playing around. It protects your commander and any other permanents you have. I love finding these in collections I buy. I would hold onto them and wait for the price to get back to $2. If you do not have faith in that happening you can still buylist them for $0.50. Furthermore, dynamically requesting price changes basically destroys the historical value of any article because the snapshot of prices at the time of writing is lost. I think you’re wrong about TS. The card has a lot of room to grow with green devotion decks having room to do well in the next year. I would love to be wrong about Terra Stomper. My inner Timmy rejoiced when it was spoiled in Zendikar and I think it is a great addition to casual stompy decks. Counterspells in Tarkir would have to be pretty strong to get Terra Stomper into sideboads much less main deck which is where it needs to be to grow.